Did ya know that many casinos will let ya stay overnight in your RV or camper? Many of them for free! 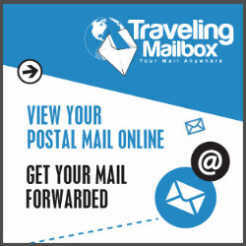 Whole listins at Casinocamper.com. Last night, Vanholio was headin' north toward Colorado and started gettin' tired around Santa Fe. Was plannin' to stop over at a spot I know by Taos. But then I pulled in to get gas by the Camel Rock Casino in Tesuque Pueblo. The pump was workin' away, and I headed toward the store to hit the head. And why did I see? A sign sayin' "RV/Camper Parking"! Well, I asked the cashier girl what needin' doin' the spend the night there. "Anythin' special I need to do?" I said. "Nope. Just pull in and park." So that's what I did! Slept like a baby. Now, the Camel Rock Casino RV lot ain't all that fancy. Just a dirt lot with safety lights. 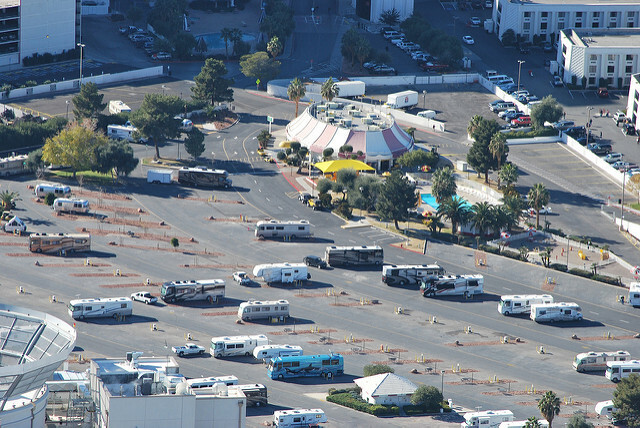 But some a the casino RV lots are real, real nice, like the "Las Vegas Circus Circus KOA campground," shown at top. (Photo by Mark Metzler, CC-BY-2.0.) They got hookups and all! 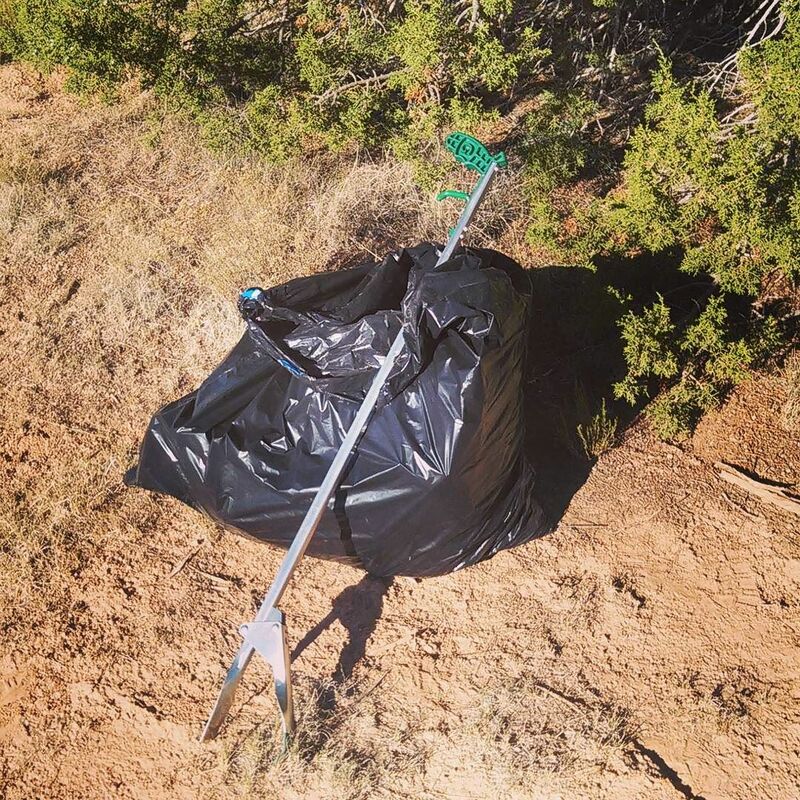 Vanholio done showed his gratitude to Tesuque Pueblo by pickin' up about 20 gallons of trash this mornin' before he left with his Grappler "Extended Reach & Pickup Tool". Didn't clean up all the trash other assholes left behind, but it's a dent. Sorta makes up for not gamblin' at the casino. I stayed at various casinos along the Oregon and northern California coasts. They're especially handy considering what campgrounds cost there. Even when you have to pay they're less than nearby campgrounds. One of my favorites was Chinook Winds in Lincoln City OR. It's right by the ocean and has a Safeway through the block. They USED to have unlimited free camping, but people were abusing the privilege, staying the whole summer. Now it's posted for day use only. But what's "day" at a place that's open 24/7/365? Anyway, since I'm in a van instead of a Class A or 5th wheel, it's easy to park in the regular lot and blend in with the gamblers. I'll note that Chinook Winds, in case I ever sneak into Oregon again. Or if the warrant is lifted.